Wedding Cars Yarra Valley – Renee & Jacob and their stunning September wedding! 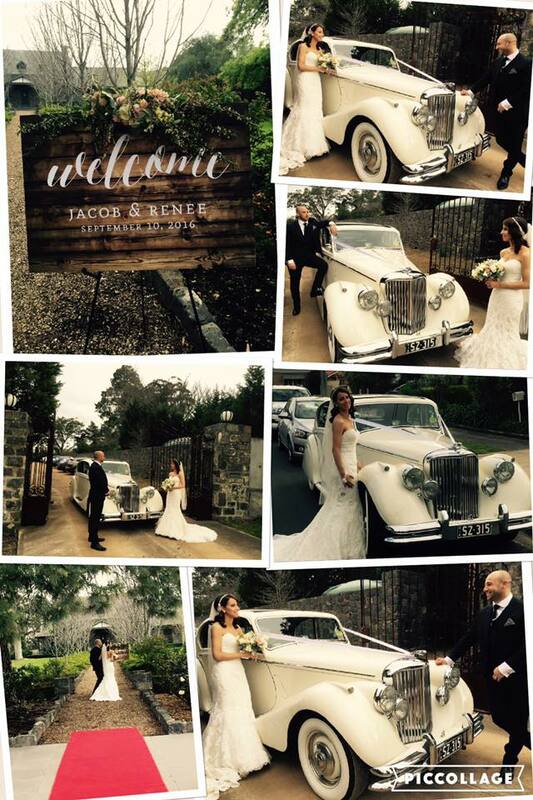 Wedding Cars Yarra Valley – we extend a big Congratulations to Renee & Jacob! We had the pleasure of transporting this wonderful couple on their special day at Meadow Banks in Campbellfield. With a lovely garden wedding and reception to start their lives as husband and wife, we wish them both a happy and fulfilling future. It was our privilege to be part of your big day! Renee and Jacob chose the elegant Jaguar MK5 sedan for their wedding, upon release was one of the finest cars of its class in the world. The classic vintage style of the Jaguar Mark Five has made it one of Australia’s most popular wedding cars. The elegant flowing lines match its classically upholstered interior. Needless to say, it is hard to go past the Jaguar MK5 as the choice for your special day.